The government is readying to auction 5G spectrum giving a much needed boost to IoT adoption in India. The Indian government plans to leapfrog when it comes to 5G adoption. The fifth generation of connectivity has been a hot area of innovation this past year, with major tech companies already making entry roads to support India’s 5G infrastructure. 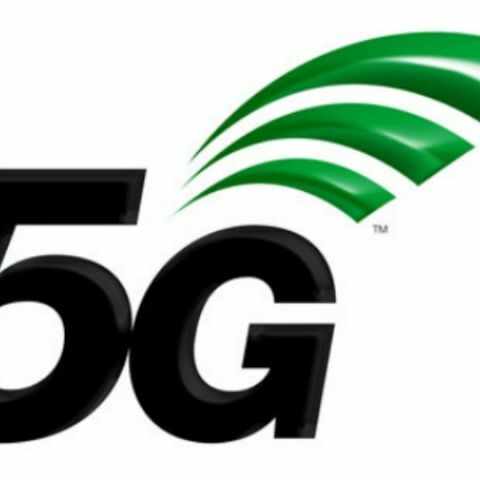 5G is expected to drastically reduce latency, and offer wider, better connectivity. The new standard is said to bring with it speeds of up to 10Gbps, making it 100 times faster than the current 4G network. Now, as per reports, the government is looking to initiate 5G spectrum auctions starting with bands over 3,000 MHz. This will help India rollout the next generation communication standard faster than expected. Over and above its mobile connectivity capabilities, 5G will be vital for machine-to-machine (M2M) communications, a much needed boost to the adoption of the Internet of Things in India. It will also have an important role to play in developing smart cities and infrastructure in the country, keeping in line with the current administration’s smart city project. It is expected that the 5G spectrum will be sold in 3,300 MHz and 3,400 MHz bands. A source told ToI, “These bands have potential when considered from the point of view of where we are headed for, in terms of technological progress. We intend to move in early in adoption of new technologies and also get a response from the industry on the matter.“ The proposal is also known to have done its rounds within the Telecom ministry and the TRAI is also expected to be roped in soon to recommend reserve prices for the spectrum sale. 5G was also a trendsetter at the Mobile World Congress this year. State run telecom operator, BSNL was reported to have signed an MoU with Nokia in Barcelona for a smoother transition to 5G networks. BSNL Chairman, Anupam Shrivastava told PTI, “After 4G, the future is 5G and IoT, which is useful in the concept such as smart cities... The MoU will help BSNL to draw a framework for transition from the current network to futuristic 5G network.” Nokia has also partnered with Bharti Airtel to create a roadmap for for 5G and IoT applications. The agreement will give Airtel access to use Nokia's 5G FIRST end-to-end 5G solutions, such as AirScale radio access portfolio and AirFrame data center platform. Chipset maker Qualcomm was also strutting its 5G trials around the Mobile World Congress. The company has joined forces with the likes of Vodafone, Ericsson and Intel, to accelerate standardisation of 5G New Radio (NR). It expanded its Snapdragon x50 5G modem family to include support for 5G NR. These devices are designed to support 2G/3G/4G/5G functionality on a single chip. Given that India is currently at the helm of telecom innovation, with networks like Reliance Jio offering world-first free of cost services, It is surely an encouraging sign to see the government's eagerness in building infrastructure to further 5G infrastructure, in turn giving a major push to its Digital India agenda. Do you think this app is of any worth ? what do you think about the venkateshwar school in sector 57 gurgaon haryana?